This week’s Fandango Friday will hunt you. For those that haven’t heard, V100 and Fandango have teamed up to give you the chance to go to the premiere of one of the season’s biggest films! Each Friday, Ethan will be giving you the opportunity to call in and win two movie passes from Fandango. This week, he’s getting you into The Predator. Another Predator movie? Really? Yes, really. 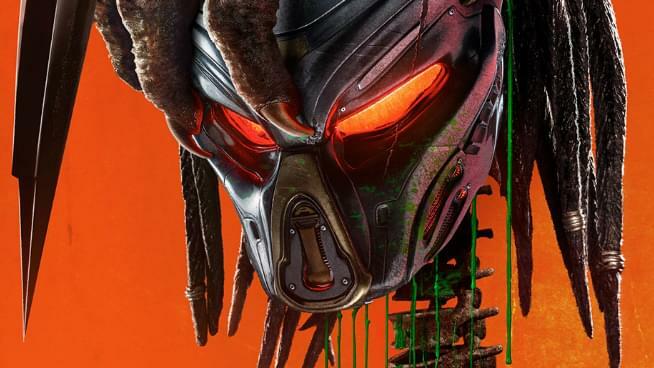 The Predator is returning to theaters this Friday for the first time since Predators was released back in 2010. This film has been one that Sci-fi fans have been waiting for all year. Take a look at the trailer below and listen for your chance to win movie passes from Fandango and V100 this Friday with Ethan Jackson.